What the Cannon train depot probably looked like. . .
Local historian Jakalyn Jackson recently provided important information about the old train depot at Cannon, including a painting of the re-imaged depot. 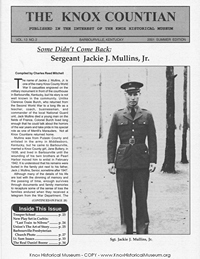 The lack of any known photographs of the Cannon depot prompted Ms. Jackson way back in the 1990's to interview several people in Cannon who described the appearance of the depot. 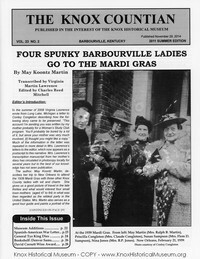 These included Dorothy Mills, Reed Jackson and Mattie Jackson Marion, all of Cannon. 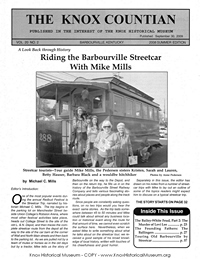 Read more: What the Cannon train depot probably looked like. . . 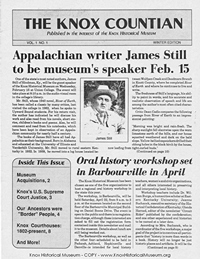 The spring issue of the Knox Historical Museum's quarterly magazine, The Knox Countian, is now available for purchase at the Museum in Barbourville or via the online Museum Store. 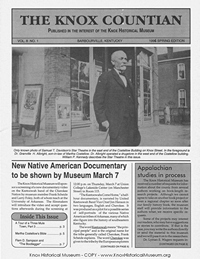 The cost per magazine at the museum is $3 while the cost via the website is $3 plus 6 percent sales tax and a $1.25 shipping fee. 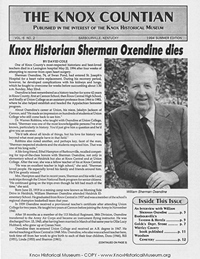 The Knox Historical Museum has added two valuable articles about Union College's rich and extensive history, beginning back in 1879. 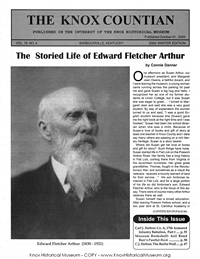 This information is now available in the KHM's school history, records and photographs section. 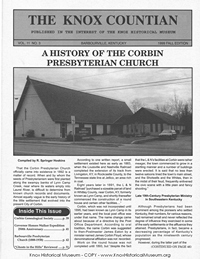 Flood of 1977 photos published by Barbourville Utility Co. The Barbourville Utility Company is providing 1977 flood photos and current river levels at the following web address: http://barbourville.com/flood-wall-management. See Flood Wall and River Level link at bottom of website page. 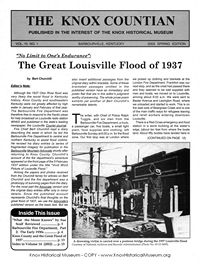 The city's floodwall was raised approximately 10 feet following the devastating 1977 flood. Torrential rain fell from April 2-5 that year, causing devastating floods across southeast Kentucky that killed 10 people. Read more: Flood of 1977 photos published by Barbourville Utility Co. 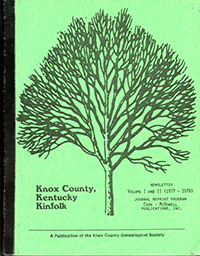 The Knox Historical Museum houses a copy of an anthology focusing on Appalachia that was compiled through the cooperative efforts of Union College instructor Linda Oxendine and the members of The History of Appalachia Class in the fall semester of 1988. 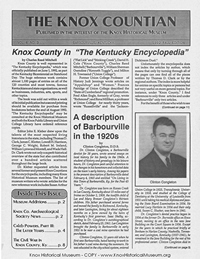 Items pertaining to Frances Jones Mills, a native of Gray in Knox County, Kentucky, were donated to the Knox Historical Museum on December 11, 2017. 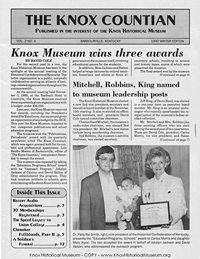 Mrs. Mills was a state official in Kentucky for a large portion of the 1970s and 1980s. According to Wikipedia, "she was the first woman and first Democrat in the 20th century to win the office of State Representative for the Knox County, Kentucky district. She was also the first woman to serve three (non-successive) terms as Kentucky State Treasurer." 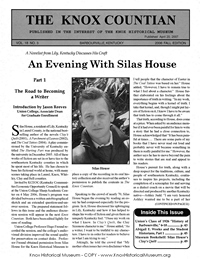 Two new issues of The Knox Countian magazine, under the guidance of editor Charles Reed Mitchell, were published this summer. 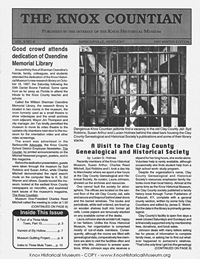 Both issues are available for purchase in the Knox Historical Museum's online Museum Store, which is found under the "Support Us" tab.. 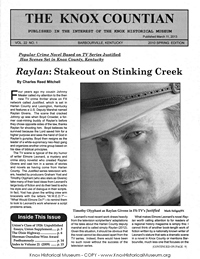 The following lists the contents of both issues.